Every so often, science presents us with new evidence which completely revolutionizes the way we understand something that we thought we already knew pretty much everything about. In the last 50 years, this has been true particularly for a subject in which we had long considered ourselves to be experts: children. The way we think about children and childhood has changed dramatically in a very short period of time. As recently as 50 years ago, expert psychologists, educators and scientists, held a set of beliefs about children and their brains which we now know to be largely incorrect. Children were understood as unformed, illogical, ‘defective’ adults, who needed to be ‘incubated’ or simply kept alive and ticking, until rational consciousness descended upon them sometime during adolescence, at which point, they were miraculously turned into useful members of society. Piaget, one of the great minds in child development, argued that children were incapable of rational thought, that their minds were essentially a primitive and clumsy tool for comprehending the world around them. Today, experts are starting to argue the exact opposite. Alison Gopnik, a groundbreaking child psychologist, argues convincingly that instead of understanding children as pre-rational – we should see them as master scientists. A series of studies help us to understand a very young child playing with a stack of blocks, not as bumbling and uncomprehending, but as conducting rapid-fire experiments to test their scientific hypotheses about the world. Gopnik, and others in her field, now ask us to understand childhood not as a useless period of fallow ‘waiting’ for adulthood, but as a time evolutionarily designed for learning and the unparalleled capacity for the acquisition of skills and knowledge. This paradigm shift has had massive implications for a wide range of people – parents, teachers, educators, policy-makers, child welfare organizations, psychologists, neurologists and, of course children. The idea that early childhood is a critical development period effected changes in a wide array of norms, from the best practices of parenting to the design of daycare programs, to the massive shift in policies on the institutionalization of children, and of course it has also spawned an industry of early stimulation tools – from baby Mozart and baby Einstein, to books designed to be read to children still in the womb. The incredible capacity for infants to learn and acquire complex skills has made academics from a diverse range of disciplines sit up and take note. The rich studies of neuroscientists, educators and psychologists continue to feed into the ever-growing field of early childhood development, contributing to developing our new and exciting practices when it comes to the raising and educating of our youngest members of society. But perhaps the most important discovery relating to early childhood development is not about the amazing alacrity of an infant’s brain, or a toddler’s sophisticated and hitherto unknown ability to empathize with and acknowledge another human being’s experience of the world, but rather, how early childhood development relates to a very different social question, one which has plagued and troubled social scientists, politicians and advocates of social justice for decades: that of socio-economic inequality. In South Africa, one of the most unequal societies on earth, this question is of unequivocal importance. Compelling evidence has accumulated in the last couple of decades which points to a direct connection between a child’s experiences from within the womb to the age of 5 and their chances of success in the future. As South Africans, our history has made us painfully aware of the consequences of providing one group of children with better access to and quality of education than another. We have witnessed generation after generation be trapped in cycles of poverty whose roots lie firmly within the massive discrepancies of the education system. Much work has been done, and much work still remains to be done to try to redress those inequalities and injustices. But anyone who has worked as a teacher knows a fundamental truth about that work, and that is that by the time a child reaches formal school, she may already have lost out on critical opportunities for learning. As that child gets older, the amount of input she will require in order to try to regain that lost ground increases, while the chances that she will develop those skills decrease at a disheartening rate. This is the bad news that emerges from the science of early childhood development, and it pertains to a wide range of skills – from cognitive ones such as literacy and numeracy, to equally critical ‘soft skills’ such as discipline, attentiveness, self-control, sociability and the ability to work towards task-completion. We know now that if a child has not had the opportunity to develop these by the age of 5, their chances of developing them later decrease dramatically. But there is good news too, and it is this good news that makes the field of ECD so exciting and potentially revolutionary. We know that if a child in the womb receives the proper nutrition and care of after is she born, if she is properly stimulated and cared for, if she receives in those early years relatively simple interventions – a daily story, proper nutrition, and encouragement to explore, ask questions and develop her imagination – the payoff is extraordinary. These children are more likely to complete formal schooling, more likely to enter tertiary education, less likely to engage in criminal activity, and less likely to ever enter the prison system. These children are more likely to be healthier in their choices and their lifestyles. In short – children who receive quality early childhood development are significantly more likely to grow up to be productive and constructive citizens of the world. There is now widespread consensus that investing in early childhood development services has a far higher return on spending than more traditional attempts to address poverty and inequality. In one of the most complex and seemingly intractable challenges of human society, which the greatest and most sophisticated minds have attempted to solve, it is the youngest of us who have proven to be the most important players. It is this evidence, which has put early childhood development firmly on the agenda of national governments all over the world, and helped people understand it not simply as a field of interest to parenting, education, or child psychology – but as an absolutely critical component of social justice. The government of South Africa is no exception here, and has demonstrated its commitment to improving both access to and quality of early childhood development by more than doubling its allocation to early learning. The National Development Plan recognizes that without the significant upscaling of integrated Early Childhood services in South Africa, we will not be able to achieve our goals of human development, productivity and growth. It is to this end, and in support of the government’s bold vision for 2030, where all children will have access to quality integrated ECD, that Ilifa Labantwana has dedicated significant time, energy and resources to establishing and supporting successful and suitable models for the provision of these services to the most vulnerable of South Africa’s children. Out of this work has emerged the “Essential Package”, a foundational document which distills the key elements of integrated early childhood services, and which is in the packs you received today. The Children’s Institute’s decision to dedicate this edition of the Child Gauge to Early Childhood Development is an important contribution to the national process of rolling out integrated ECD services. This process needs to be supported and bolstered by quality research and engagement with the key challenges facing the sector in South Africa. These challenges are not insignificant, but we know that we cannot afford to fail here. We know that no matter what sector or field we are in, ECD is everybody’s business, and South Africa’s smartest investment for the future. 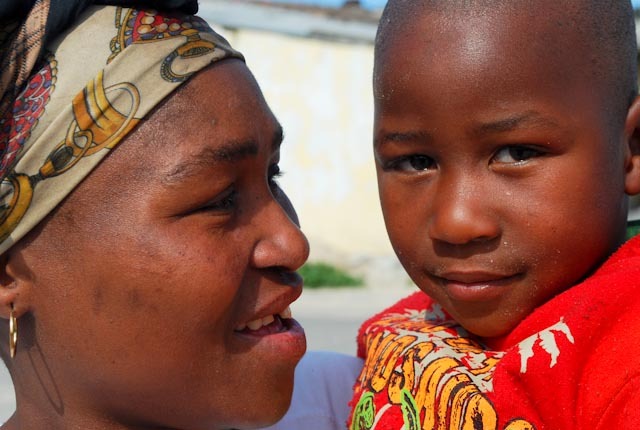 If we are committed to a South African society that is equitable, just and where all children have the opportunity to grow into productive and healthy citizens, regardless of their socio-economic background, we need to ensure that the first five years of their lives are given critical support. Electronic copies of the Child Gauge can be downloaded at www.ci.org.za and hard copies can be ordered online or email, info@ci.org.za.